Honduras, El Salvador, Guatemala and Mexico have been experiencing massive violence from gangs, often with the collaboration of law enforcement officials and the military. But according to the American Immigration Council, U.S. immigration courts granted asylum to only 1 percent of applicants from Mexico in 2012, and less than 10 percent of applicants from the three Central American countries mentioned above. These figures contrasted with acceptance rates of over 80 percent for asylum applicants from Egypt, Iran and Somalia. Many claims asserted by Central Americans are based on forced gang recruitment, and many claims presented by Mexicans are based on threats by drug cartels. But those claims do not fit neatly within the criteria established by the Board of Immigration Appeals, which focus on fear of persecution because of political opinions, religion or membership in a targeted social group. The U.S. government is thus sending people back to situations in which they face an imminent danger of death. Can a Catholic employed by the government carry out his or her job duties in good conscience if they include the deportation of people facing such danger? Can a Catholic employed by the government carry out his or her job duties in good conscience if they include the deportation of people facing such danger? The principle of double effect is used in the Catholic Church to determine the morality of an action. If the possibility of evil exists, an action cannot be deemed moral unless it meets all four of these criteria: 1) the action itself is good or indifferent; 2) the good effect is not produced by means of the evil effect; 3) the evil effect is not directly intended; and 4) a proportionate reason supports causing or tolerating the evil effect. Under this principle the deportation of an undocumented criminal who poses a threat to others can be a “good,” at least for the deporting country. But in most deportation cases, the only certain result is that a person is denied the chance of a better life in the United States. So the first criterion is not met. 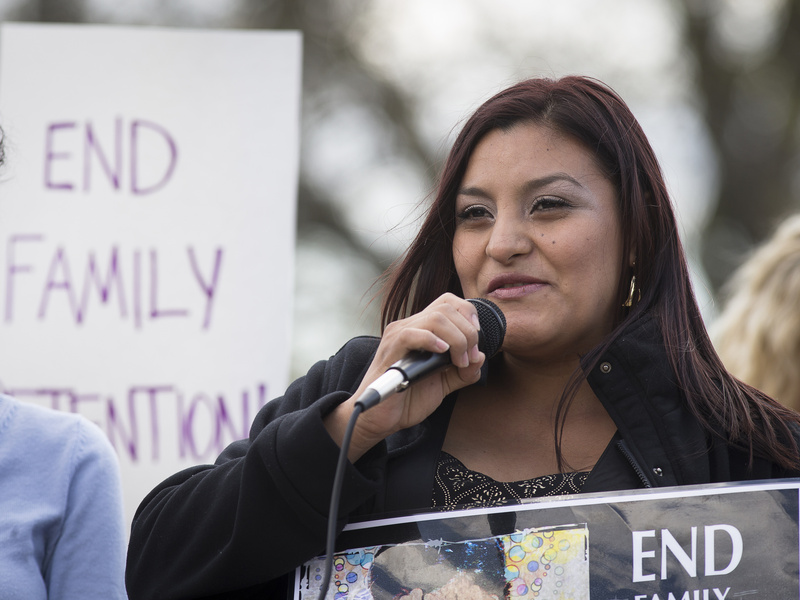 The second criterion comes into play only when deportation can be considered a good, but most would not describe the massive deportations now disrupting families that way. However, rejecting applicants for asylum would meet the third criteria, since even the probable murder of a deportee in his or her home country is not intended. As for the last criterion, there is no proportionate reason to justify placing large numbers of asylum applicants, themselves nonviolent, in proximate danger of death—even considering that they have broken immigration law. It is critical to note that our current immigration system itself has been categorized as “broken” by politicians in both parties, by the Catholic Church and by other Christian denominations and religions. Thus, the fourth criterion is not met. Catholic Sen. Bob Casey tried unsuccessfully to stop the deportation of a mother and son. According to the theory of double effect, Catholics directly involved in the mass deportations of asylum seekers are formally cooperating with an evil action. This is not true of everyone working in government offices involved with immigration law, but some positions that appear to be immoral include those of an official who approves a deportation order, pilots who fly deportees back to their home countries and lawmakers who vote for an unjust deportation policy. The church has consistently taught that being an abortion provider, an assisting nurse or a person who pays for an abortion is cooperation in an immoral action. But what is clear regarding collaboration in the evil of abortion is not often seen in other matters of life and death. Bishop Flores points to this inconsistency. One of my main ministries is with refugees who may be deported. Listening to their stories is heartbreaking and makes clear the immorality of our present immigration system. Nearly 40 years after the assassination of Archbishop Óscar Romero in El Salvador, violent killings continue there and elsewhere in the region. We can choose to follow a consistent ethic of life and oppose this violence with effective, nonviolent actions. We can also choose the unfortunate path that has preceded so many injustices and genocides in world history, remaining silent. We do not need to be heroic. But we need to be faithful to the Gospel. How many countries of the world have serious problems?----Mexico--Latin, Central, South American Countries--Syria---Middle Eastern Countries---Asia/North Asia.....Eastern Europe--.....? How many of the refugees bring problems----terrorisn--- (look at Europe)---mayhem--crime---drugs----look at MS- 13 murders, diseases-- rapes gang expansion--and more. These are like invasions--without declarations of war--Would we be better off trying to help solve the problems----in those countries--through a stronger and smarter NATO---UN, A NEW ORGANIZATION--ETC---SOMETHING!!? OUR CAPACITY TO SIMPLY absorb is at a breaking point---and has limits. Our capacity has limits----keep praying and engage the world-wide Church! This article also appeared in print, under the headline "Deportation to deadly countries is an evil we can avoid," in the July 10, 2017 issue. Rafael García, a Jesuit priest of the U.C.S. Province, ministers to migrant and refugee persons, adults and minors in detention in El Paso, Tex.